Punjab minister Navjot Singh Sidhu’s wife, Navjot Kaur Sidhu was the chief guest at a Dussehra event in Amritsar where a train tragedy claimed 60 lives. Chandigarh: A magisterial probe into the Amritsar train tragedy in which around 60 people died, has apparently given a “clean chit” to Navjot Kaur Sidhu, wife of Punjab minister Navjot Singh Sidhu, who was the chief guest at the Dussehra event. 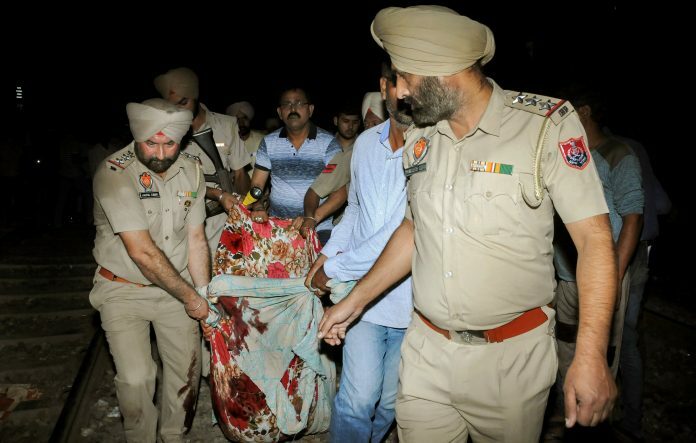 Jalandhar Divisional Commissioner B Purushartha– appointed the special executive magistrate by the government to probe the accident– indicted the son of a Congress councillor, who organised the event as well as officials of Amritsar district administration, municipal corporation, railways and local police, official sources said. Notably, an inquiry conducted by the Chief Commissioner of Railway Safety into this incident had blamed “negligence” of people, standing on the railway track, for the tragic incident.